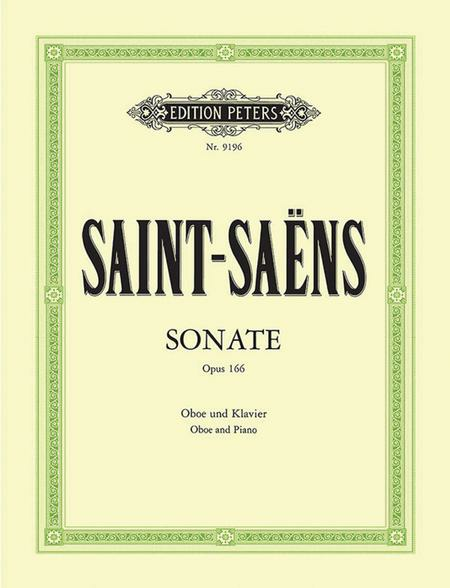 Composed by Camille Saint-Saens (1835-1921), edited by Reiner Zimmermann. Op. 166. Instrumental solo book for oboe solo and piano accompaniment. Urtext edition. With solo part, standard notation, piano accompaniment and introductory text. Text language English, German and French. 24 pages. Published by C.F. Peters.